We have a story of boyfriend who's jealous of his partner breast feeding...probably not a keeper. Plus the story of a lost wallet and an unusual note; the super rich are different to you and I...they'll pay anything it seems for unusual items...but MacDonald's secret sauce? 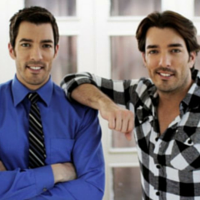 ; we have a chat with a physic who predicted her own house burning down....and best of all...we have an exclusive interview with Jonathan and Drew Scott...The Property Brothers. All in this episode of #LTT.